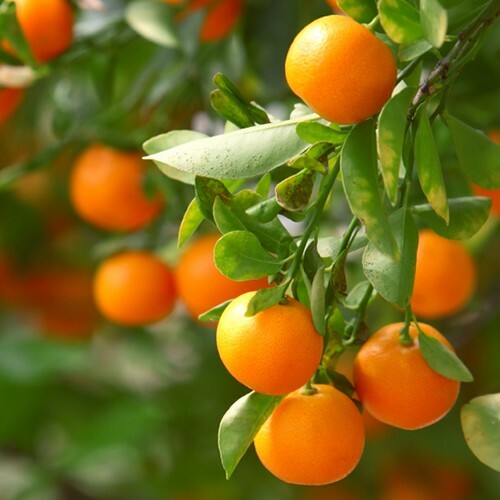 Clementine Trees are also known as Christmas Orange Trees. Not Available in Alaska, Arizona, Hawaii or Texas. 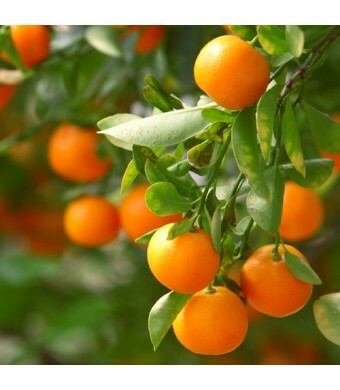 Clementine is of a variety of mandarin orange (Citrus reticulata). The exterior is a deep orange color with a smooth, glossy appearance. Clementines separate easily into seven to fourteen moderately-juicy segments. They are typically juicy and sweet, with less acid than oranges. Clementines are also known as "Christmas Oranges" because they tend to bloom the most in the colder months November - January. These trees make a great gift for the holidays. The Clementine is cold hardy in USDA Zones 9-11. It can be kept as a patio plant in all other growing zones. If you live in a colder climate, simply bring your Clementine inside during the winter. It produces abundantly indoors or out. Place your tree in front of a sunny window and enjoy fresh fruit throughout the winter. Clementines are very easy to peel, like a tangerine. Clementines are generally seedless but may contain a few seeds.